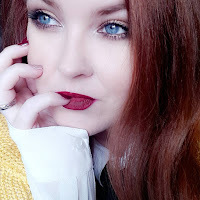 I could start by giving you all a long and rambling explanation as to why I've not been writing anywhere near as much as I'd like this year but, in all honesty, that's a post for another day! 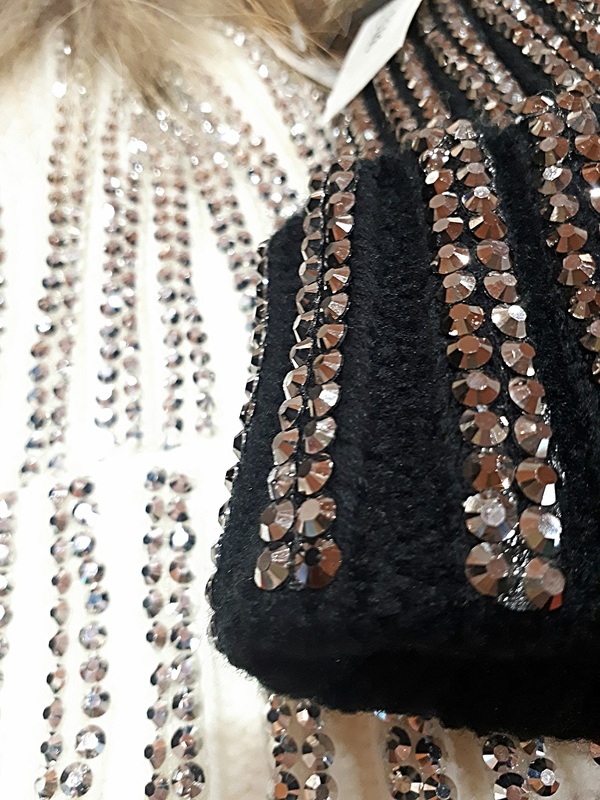 Today's post is ALL about the style, the glitz, the glamour, the fun, Christmas activities and shopping local, so let's just get straight to it, shall we? Oh... It's good to be back! 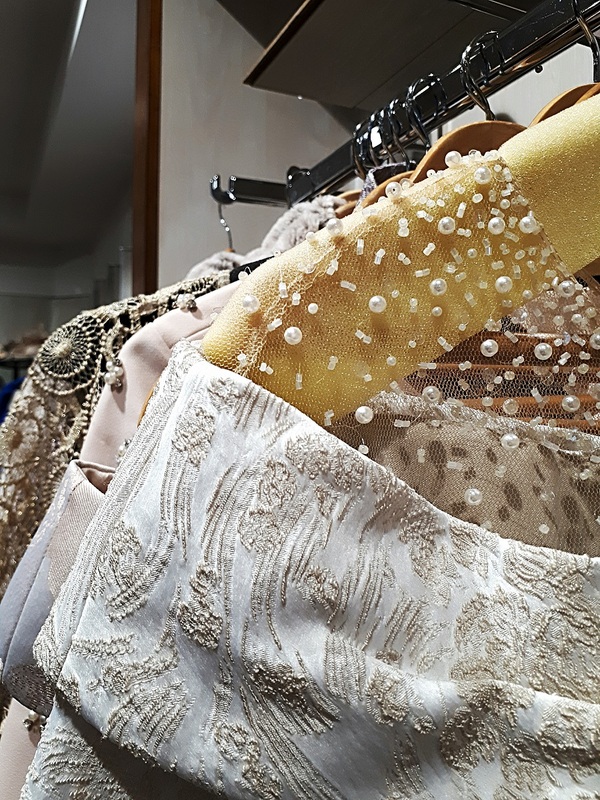 There is a gem of a fashion boutique in Ballymoney and if you listen carefully, you'll hear it's name mentioned across the counties. People come from far and wide to shop at a proper, full service fashion boutique. One of the last of it's kind. And the best news? They cater to plus sizes! 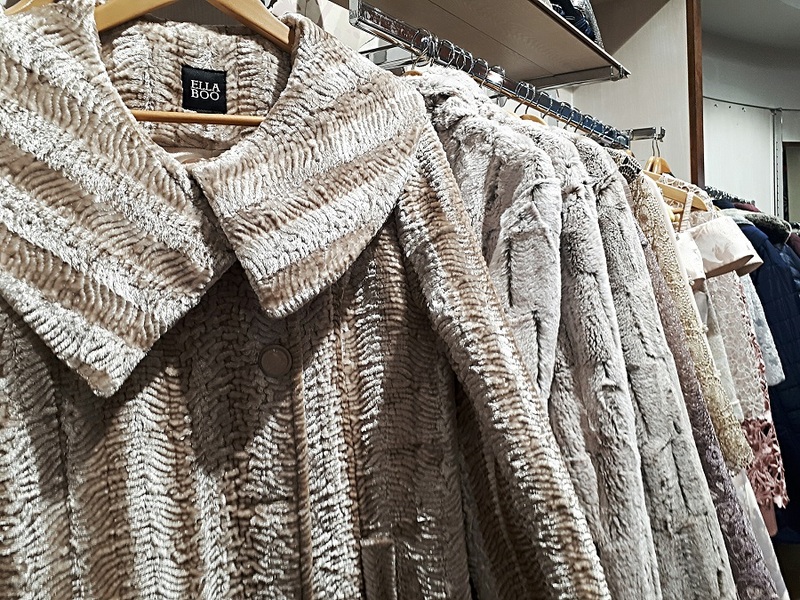 So many retailers today are all about the loud music, thumping beats, glaring lights, no style advice, no careful thought for the customer and slim pickings when it comes to the fuller figure. It is, quite literally, fast fashion and it's as filling as fast food. Sometimes it may just hit the spot but in reality you know that a better investment, better quality and more care makes all the difference in the world. Plus, in this day and age it's worth mentioning the fact that it's also more sustainable and better for the environment around us. Invest in a few good pieces for your wardrobe instead of clothes that are of no use to anyone in a few months. I digress... Some things haven't changed! I really have missed our chats. 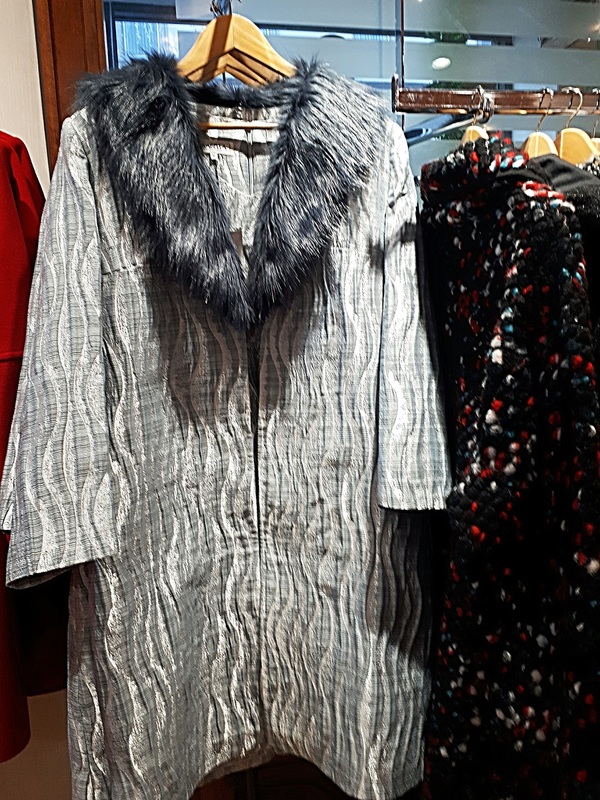 The Winsome Lady in Ballymoney begin their massive SALE tomorrow, Friday 7th December 2018 and so I popped along recently to see their latest stock and I really do have to say it was as though I stepped through the doors of a fashion wonderland. 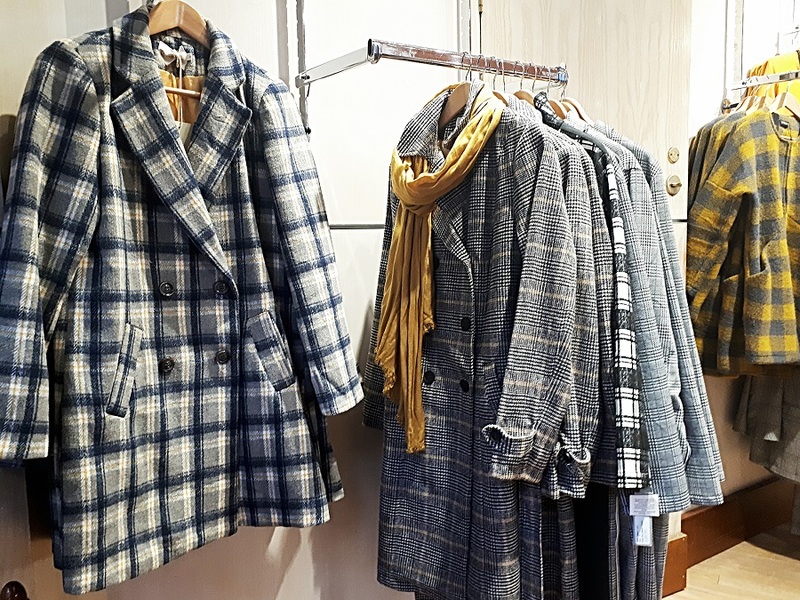 Whether you're looking for something casual but top quality, or a pair of good trousers to see you through work, or perhaps you're searching for that perfect formal winter outfit for a wedding or Christmas party, The Winsome Lady have everything! 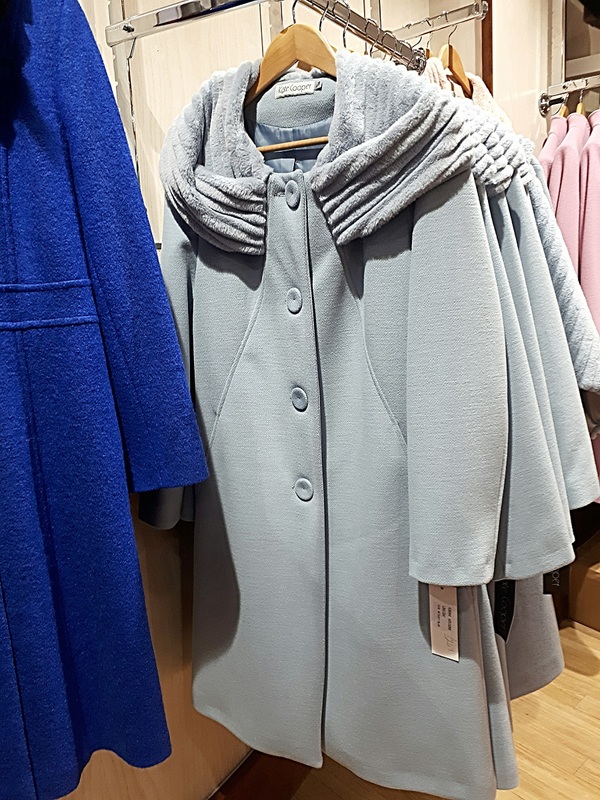 A little (albeit very fashionable) birdy has reliably informed me that there will be up to 50% discounts to be had throughout the store and I believe the on-trend checked coats by Escandelle and the gorgeous (designed in Ireland) Lisabella silver, crushed satin feel coat with black faux fur collar will be included in the sale. 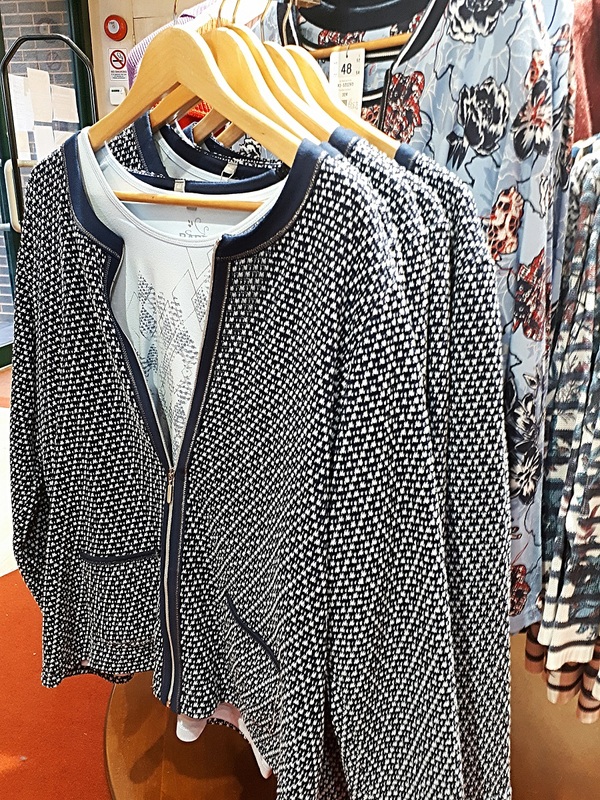 If you're looking to pick up something that can be dressed up or down (you know me and my love of multi-functional fashion), then keep your eye out for the Chanel inspired Rabe 2 piece jacket set, which will also be discounted from Friday 7th December. 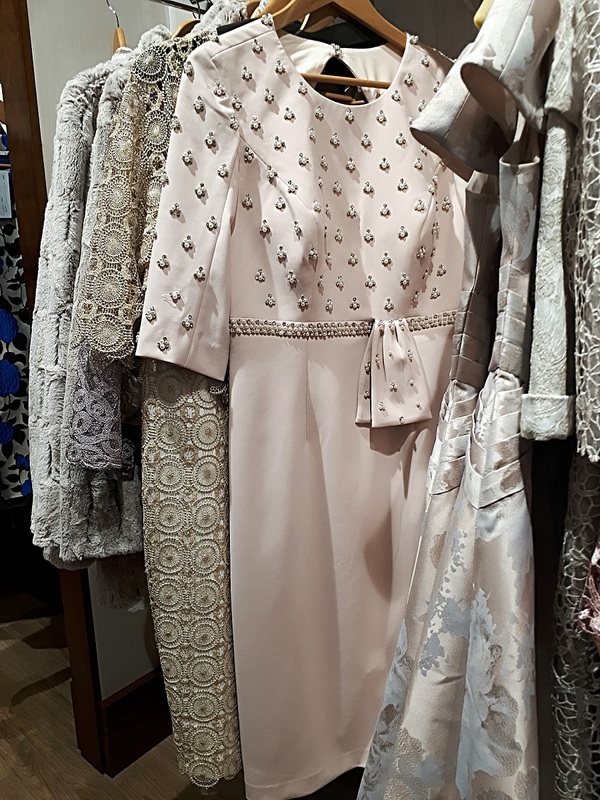 I've also been informed that the famous Robell trousers stocked in The Winsome Lady will be 20% off and they range from a size 8 to a size 28 which is fantastic to see in a high end fashion boutique in my own town. 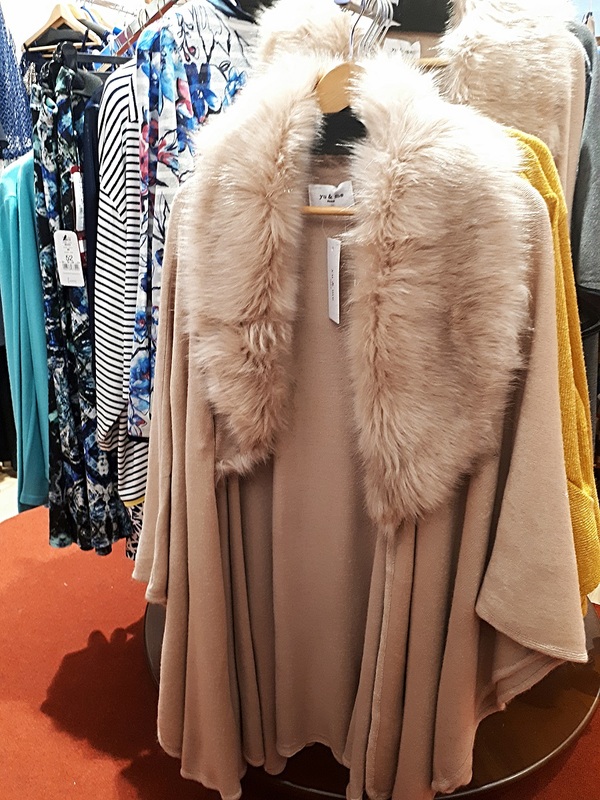 Speaking of plus sizes, The Winsome Lady and the amazingly wonderful women who work there are dedicated to ensuring that all sizes are catered for where possible and they're one of the only high street stores that I can say that about. 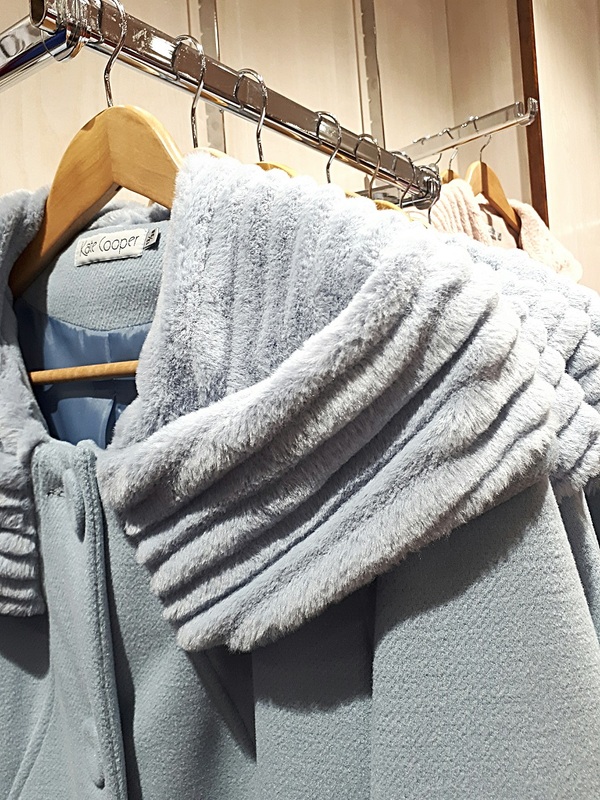 While I was visiting I feel in love with this gloriously soft and luxurious Yu & Me slouchy cardigan with faux fur (also in the plus size section). Easily dressed up or down, it'd be a perfect addition to any plus size wardrobe for many Autumn and Winters to come. 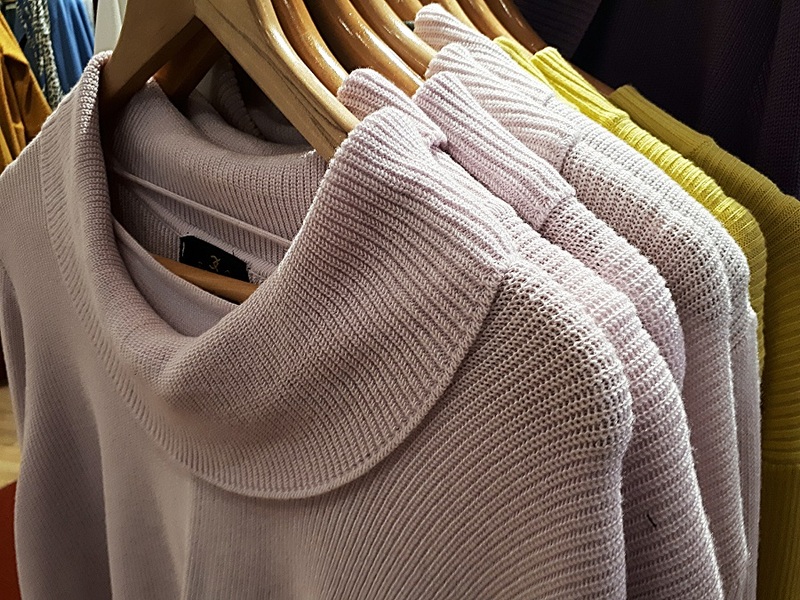 In complete honesty there were plenty of stylish, warm and cosy tops and jumpers on display and in my favourite colour palette at the moment too - powder blue and blush pink. 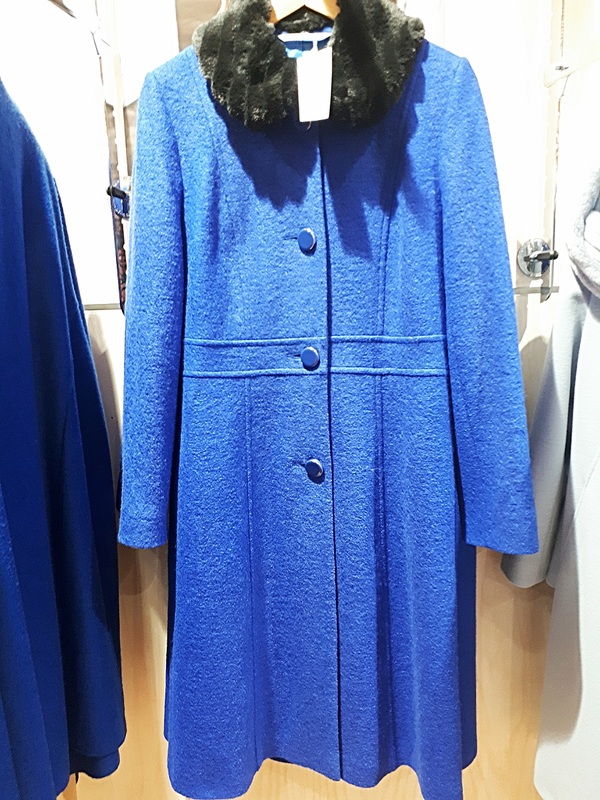 Coats-wise there is so much choice, from hint-of-vintage with the royal blue, to formal dress wear in stunning golds and champagnes. 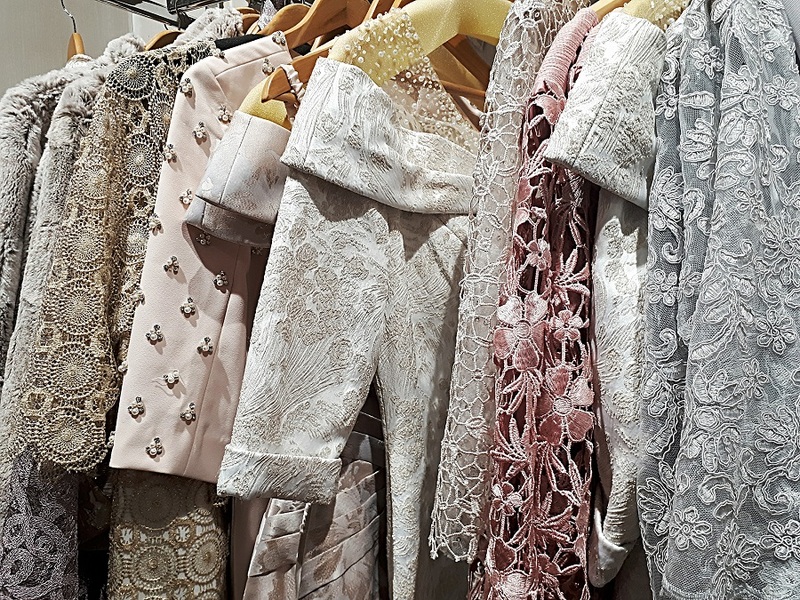 It's easy to feel a little overwhelmed with so much choice but luckily the amazingly adept and knowledgeable women who work in The Winsome Lady are always on hand to help you with some style advice should you need it. 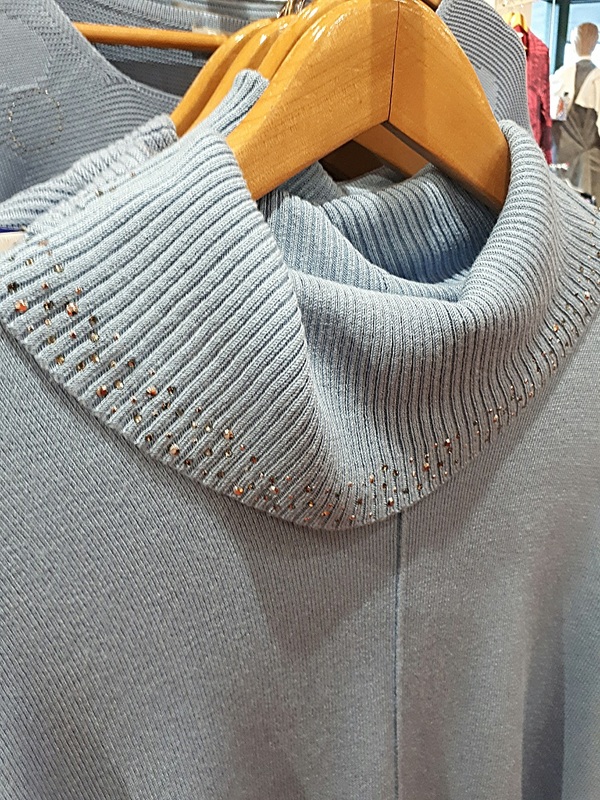 You can also be sure that the attention to detail, whether it's embellishment on a dress, hat or scarf is meticulous and I can assure you that not only would you find something for yourself during the big SALE, it's likely you could pick up a few gifts as well! Before I head off and leave you to ponder your favourites from this post (feel free to tell me them, I sure do have my own! ), I just want to take this opportunity to let you know that Ballymoney really is the place to be this weekend! In fact, you'll more than likely find quite a few of the Ballymoney Town retailers will have specials running over the weekend as it's The Big Santa Horse & Pony Parade this Saturday. The parade begins at 1pm, then the kids can visit with Santa in Castlecroft from 2 - 3.30pm. That's not all! Ballymoney have pulled out all the stops and there are rumours of a unicorn, elves aboard a pirate ship, Fancy Dress AND... SUPERHEROS! For the adults, while the kids are living their best lives, you can enjoy music from Fiddler Adam after the horse parade, and then we'll have Grahame Harris during the afternoon. Between that and the fact Ballymoney play Christmas music through loud speakers situated throughout the town, this weekend is sure to be the most incredibly festive and the most fun to be part of, so make sure you gather up the kids, pop on your santa hats and elf ears, don't forget your most festive jumper (ugly or stylish, completely your choice) and pop on down to the 'toon' this weekend to surround yourself with some much needed festive cheer. There really is nothing quite like it, is there?